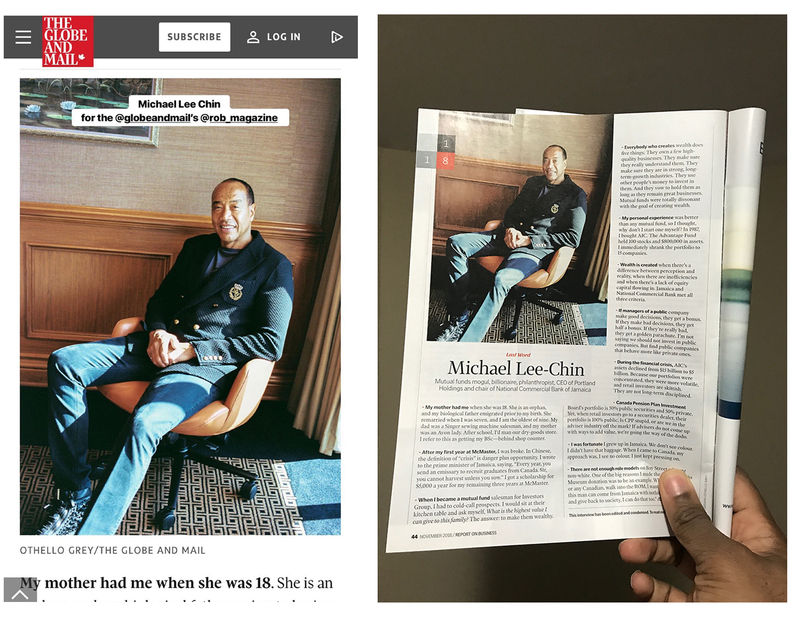 I had the honour of shooting Michael Lee Chin, billionaire and philanthropist for the Globe and Mails ‘Report on Business‘ Magazine. Being of Jamaican descent and knowing the struggles my parents faced before coming to (and while in Canada) it was inspiring to meet someone who shared that narrative and reshaped its usual outcome. To see someone who looked like me take up space in a position that you don’t often see was beyond inspiring. I implore you to also read the article as his story is very insightful. Oh and when we greeted each other, I went in for a handshake and he gave me a pound- that spoke volumes.